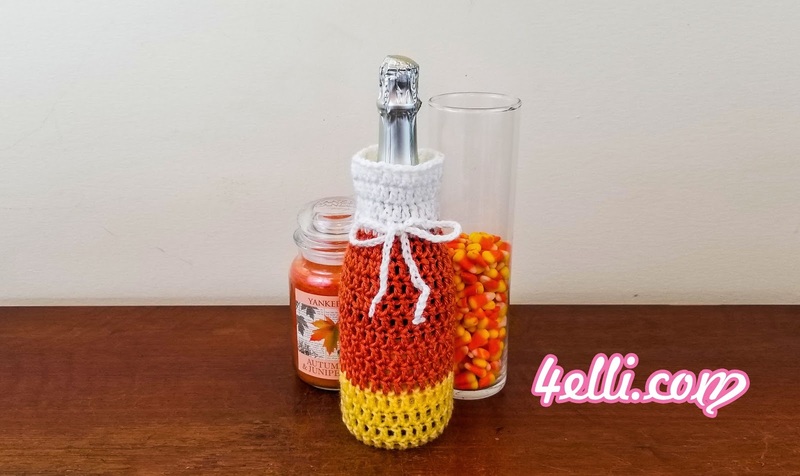 How to crochet beautiful Halloween wine covers! With yellow: chain 4, slip stitch to the 1st to form a ring, 6sc into the ring. Round 2: 1sc into the 1st, 2sc into the next. Repeat around. Round 3: 1sc in each of next 2 stitches, 2sc into the next. Repeat around. Round 4: 1sc in each stitch arround. Round 6: 1sc in each of next 4 stitches, 2sc into the next. Repeat around. Round 7: repeat round 4. Round 8: 1dc in each stitch around. * In the end of round 24 slip stitch to the 1st, cut the yarn and finish off. With white make a long chain and place it around the cover. Please watch my free video tutorial witch shows you how to make easy and quick Halloween wine covers!